An exciting addition to our accommodation options will be coming in later 2017 with the arrival of Kangaroo Bay Cottage. Our Cottage is a beautiful and recently renovated 1940s house in Bellerive with three bedrooms and bedding for up to eight guests. 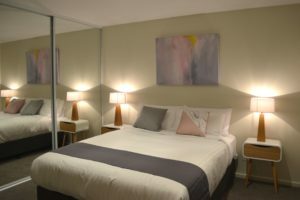 The Cottage is located at 85 Cambridge Road in Bellerive, just 900 metres from the main Apartment block. 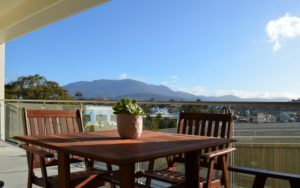 With views over Kangaroo Bay and across to Hobart and Mount Wellington, guests will love the charm and privacy of this home away from home. Online bookings are available here, and we look forward to having you stay with us soon!